The roster of John's initial emigration company (the James W. Cummings Company of 1851), indicates that he served as the clerk of company and was traveling with four people. He crossed the plains again in 1856 as a returning missionary. Immediately after arriving, he turned around and went back out to participate as one of the rescuers that were sent out to assist the members of the Church stranded in Wyoming. 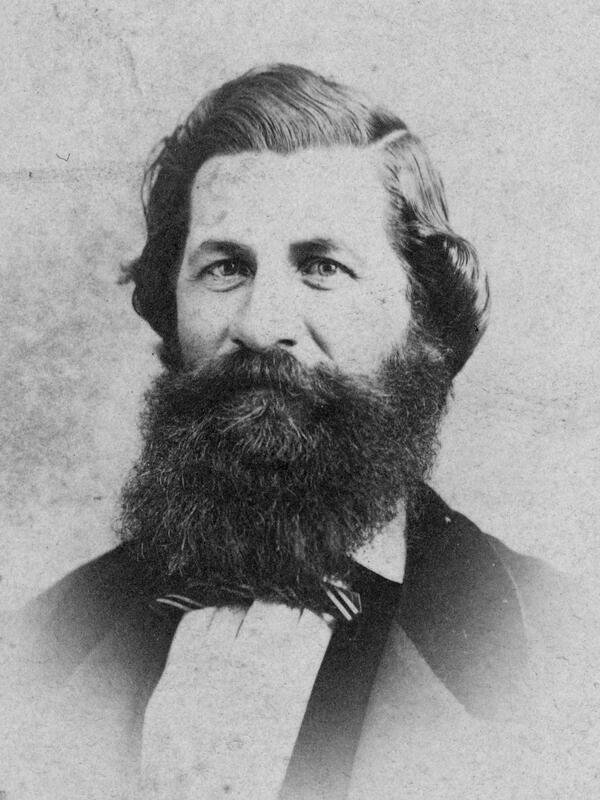 After serving a second mission in the eastern states, McAllister planned to return to Utah with a group of members he had accompanied from the east to Florence. As indicated in the Milo Andrus Emigrating company journal, McAllister was elected to serve as captain of the company on 1 July 1861, but was released from that responsibility that same day, as he had been asked to travel to England to help accompany the saints in Europe back to the States, which he did. He returned the next year and traveled with his group in the Ansil P. Harmon Company in 1862. His initial trip to the Valley is mentioned in the obituary of his son, Moroni and that of his son John Daniel Handley McAllister. "Dies Suddenly From Gastritis," Salt Lake Herald-Republican, 29 October 1908, 12. Journal History of The Church of Jesus Christ of Latter-day Saints, 1 September 1856, 1-2. Journal History of The Church of Jesus Christ of Latter-day Saints, 30 July 1861, 3. Journal History of The Church of Jesus Christ of Latter-day Saints, Supplement after 31 December 1851, 3. "M. H. M'Allister Dead of Apoplexy," Salt Lake Telegram, 6 Mar. 1919, 12. Milo Andrus Emigrating Company, Journal, 1861 Apr.-May and July-Aug.
Ottinger, George M., Journal, 150-73. Thorn, William, Life sketch, in Mormon biographical sketches collection [ca. 1900-1975], reel 12, box 16, fd. 11, item 8, 5.